A strong economy means job seekers have their pick of employers. The U.S. job market is continuing on its upward swing. According to the Bureau of Labor Statistics, the unemployment rate has held at a steady 4.1 over the past few months - the lowest it's been in a decade. 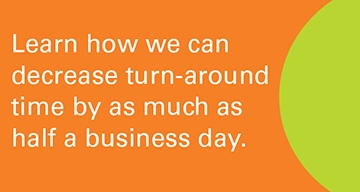 While this is great news, it also presents a conundrum for businesses. A strong economy means job seekers have their pick of new positions, and competition for top talent is high between employers. As a result, human resources staff and recruiters will need to pull out all the stops to fill open positions with qualified candidates. 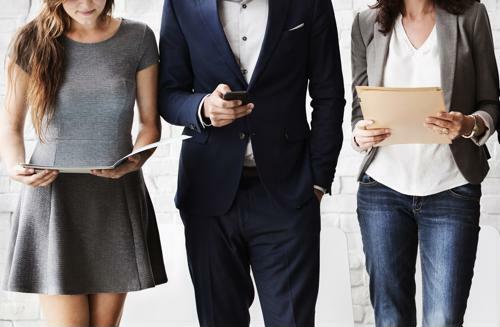 According to Gallup's "State of the American Workplace" report, 47 percent of U.S. workers think now is a good time to find a quality job, and 51 percent are actively looking or watching for open positions. This is good and bad news for recruiters. The talent they're looking for could walk in the door tomorrow, but these candidates could just as easily go somewhere else. So what should talent management staff do? First, they must make sure they're attracting candidates on as many platforms and channels as possible. They should post listings on their website, on job boards and even on social media to attract passive candidates. According to Talent Economy, travel company Beautiful Destinations created a video and hashtag about a job opening and posted the content on social media. The response exceeded expectations. "We thought maybe a couple thousand people would apply," Jeremy Jauncey, co-founder and CEO, told Talent Economy. "But we got more than 65,000 applications. It was staggering." "Businesses must be more transparent about job openings and background checks." Additionally, businesses must be more transparent about the openings they do offer. Otherwise, candidates may have other ideas in mind and leave when the job doesn't meet their expectations. Writing for Entrepreneur, Quote.com founder and CEO Daniel Wesley noted that openness during the interview process keeps his team from getting distracted or delayed from high turnover. This concept includes transparency during the background check process. Allowing candidates access to the status of their background checks makes them feel more secure in the recruiting process and the company as a whole. Furthermore, portals like Orange Tree's CandidateConnect keep candidates engaged throughout this crucial final step, ensuring businesses won't lose them to a competitor. CandidateConnect also allows current employees to spend time on other pressing hiring matters such as improving the rest of the candidate experience. As the economy strengthens and the talent competition grows, businesses need the right partnerships in order to attract and retain top candidates. 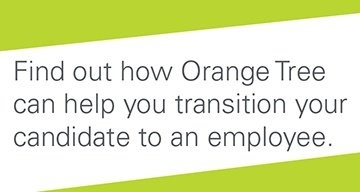 Orange Tree helps all of its partners by providing background checks customized to fit any position and keeping candidates engaged throughout the process. Check out our blog for more hiring insights and don't hesitate to get in touch and learn more about how we can help your hiring goals!